On June 19, 2018, the European Medicines Agency (EMA) launched a new secure online portal for Orphan Designation (OD) applications. The portal, named ‘Iris’, provides a single window where applicants can submit and manage the information and documents related to their applications for orphan designation ref 1. This initiative is expected to reduce the time required to prepare and submit the applications. During the review process, applicants can check the status of their applications from any device and receive automatic notifications when the status of the application changes. a) Both the Applicant and Sponsor of an orphan designation, or persons acting on their behalf, must have an active EMA user account and must be registered with IRIS user access roles of either ‘Orphan Industry Manager’ or ‘Orphan Industry Contributor. d) Each new OD application must have a Research Product Identifier (RPI) – the process for requesting an RPI will be required before OD application. No satisfactory method of diagnosis, prevention or treatment of the condition concerned can be authorized, or, if such a method exists, the medicine must be of significant benefit to those affected by the condition. The European Medicines Agency (EMA) has launched a new secure online portal for orphan designation applications. The portal, named ‘Iris’, provides a single space where applicants can submit and manage the information and documents related to their applications for orphan designation. This is expected to reduce the time needed to prepare and submit the applications. During the review process, applicants can check the status of their applications from any device and receive automatic notifications when the status of the application changes. Iris is part of a longer-term programme that aims to make the handling of product-related applications easier and utilises the domains of master data in pharmaceutical regulatory processes (SPOR). Applicants will still be able to use the existing submission process until 19 September 2018. However, the Agency strongly encourages companies to start using the new portal from today. In order to help applicants with the transition, EMA has developed two guidance documents. These step-by-step guides provide detailed instructions on how to use the new system and explain what has changed with its introduction. EMA tested a pilot of the new system in March 2018 with 35 volunteers from 26 different organisations. Feedback from this test helped EMA to optimise the portal and showed high levels of satisfaction. In future, the new system may be extended to include other procedures, taking user feedback and experience into account. Note- In order to help applicants with the transition, EMA has developed two guidance documents. These stepby-step guides provide detailed instructions on how to use the new system and explain what has changed with its introduction. In March 2011, the European Medicines Agency (EMA) and the United States Food and Drug Administration (US FDA) launched, under US-EU Confidentiality Arrangements, a joint pilot program for the parallel assessment of applications containing Quality by Design (QbD) elements. The aim of this program was to facilitate the consistent implementation of QbD concepts introduced through International Council for Harmonisation (ICH) Q8, Q9 and Q10 documents and harmonize regulatory decisions to the greatest extent possible across the two regions. To facilitate this, assessors/reviewers from US and EU exchanged their views on the implementation of ICH concepts and relevant regulatory requirements using actual applications that requested participation into the program. The program was initially launched for three years. Following its first phase, both agencies agreed to extend it for two more years to facilitate further harmonization of pertinent QbD-related topics. The program officially concluded in April 2016. During this period, the agencies received 16 requests to participate. One submission was rejected because the approach presented was not limited to QbD applications, and another application was not reviewed because it was never filed by the applicant. In total, two Marketing Authorisation Applications (MAA)/New Drug Applications (NDA), three variation/supplements and nine scientific advice applications were evaluated under this program. One MAA/NDA was assessed under the parallel assessment pathway, with the rest following the consultative advice route. Based on the learnings during the pilot, FDA and EMA jointly developed and published three sets of Question and Answer (Q&A) documents. These documents also addressed comments from the Japanese Pharmaceuticals and Medical Devices Agency (PMDA), which participated as an observer, offering input to further facilitate harmonization. The objective of these Q&A documents was to generate review guides for the assessors/reviewers and to communicate pilot outcomes to academia and industry. 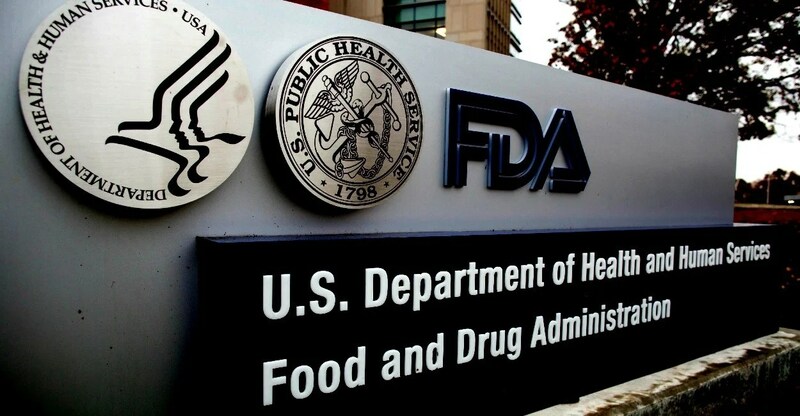 Additionally, the FDA-EMA pilot provided the agencies an opportunity to harmonize regulatory expectations for the following precedent-setting applications that were reviewed under the consultative advice pathway: – The first continuous manufacturing (CM) based application submitted to both agencies. Based on the learnings from this application, the following areas related to CM were harmonized: batch definition; control of excipients; material traceability; strategy for segregation of nonconforming material; real-time release testing (RTRT) methods and prediction models; and good manufacturing practice (GMP) considerations for RTRT, validation strategy, models, and control strategy. – A post approval supplement that included a broad based post-approval change management plan/comparability protocol. Both agencies were harmonized on the expected level of detail in the protocol and considerations for implementation of a risk based approach to evaluate the changes proposed in the protocol. In line with the scope of the QbD pilot program, joint presentations of key findings were publically presented and discussed with stakeholders at different conferences. These included the Joint EMAParenteral Drug Association QbD workshop4 organized in 2014 which also included participation from FDA and PMDA. Overall, it is concluded that, on the basis of the applications submitted for the pilot, there is solid alignment between both Agencies regarding the implementation of multiple ICH Q8, Q9 and Q10 concepts. The FDA/EMA QbD pilot program opened up a platform for continuous dialogue which may lead to further communication on areas of mutual interest to continue the Agencies’ support for innovation and global development of medicines of high quality for the benefit of patients. Both agencies are currently exploring potential joint activities with specific focus on continuous manufacturing, additional emerging technologies, and expedited/accelerated assessments (e.g. PRIME, Breakthrough). Additionally, EMA and FDA are hosting experts from each other’s organisations to facilitate dialog and explore further opportunities. In 2014 the European Medicines Agency (EMA) issued the Guideline on setting health based exposure limits for use in risk identification in the manufacture of different medicinal products in shared facilities. This publication triggered a discussion about the Permitted Daily Exposure (PDE) values in the Pharmaceutical and even in the API Industry, especially regarding crosscontamination and cleaning validation. Now a draft of a Q&A paper from the EMA provides some concretisation. In 2014 the European Medicines Agency (EMA) issued the Guideline on setting health based exposure limits for use in risk identification in the manufacture of different medicinal products in shared facilities. As mentioned in the publication itself, this document triggered a discussion about the Permitted Daily Exposure (PDE) values in the Pharmaceutical and even in the API Industry, especially regarding crosscontamination and cleaning validation. Now, the draft of a question & answer paper from the European Medicines Agency provides some concretisation of the guideline. The document altogether comprises five pages with 14 questions and answers. The questions – and even more the answers – are very interesting, as shown in question 1 already: Do companies have to establish Health Based Exposure Limits (HBELs) for all products? The answer is: Yes, but there are references to question 2 and 4 (and their respective answers). Question 2 clarifies what products/active substances are considered as highly hazardous. There are, among others, 5 groups listed, which products should be classified as highly hazardous (e.g.compounds with a high pharmacological potency, daily dose < 1 mg/day (veterinary dose equivalent 0.02 mg/kg)). For highly hazardous substances the answer yes in question 1 is expected. Even more interesting is the link to question and answer 4: Can calculation of HBELs be based on clinical data only (e.g. 1/1000th of the minimum therapeutic dose)? And the answer is yes, but only at designated circumstances. This means the products should have a favourable therapeutic index (safety window) and the pharmacological activity would be the most sensitive/critical effect. Some further clarification regarding LD 50 is provided in Question 5 and the respective Answer: The use of LD 50 to determine health based limits is not allowed. There are also more questions and answers regarding Veterinary Medicinal Products, the inspection of the competence of the toxicology expert developing HBELs, Occupational Exposure Limits, cleaning limits, Investigational Medicinal Products and paedric medicinal products and about Cross Contamination. Details will follow. The document is still a draft and the industry has the opportunity to comment it until the end of April 2017. Let´s see what the final version will bring. Please also see the draft Questions and answers on implementation of risk based prevention of cross contamination in production and ‘Guideline on setting health based exposure limits for use in risk identification in the manufacture of different medicinal products in shared facilities’on the EMA website. 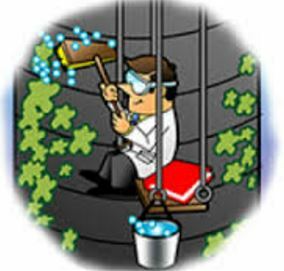 At ECA´s Cleaning Validation Course, 9-10 February 2017 in Heidelberg, Germany the EMA Q&A draft will also be discussed. A possible agreement between the EMA and the US FDA on mutual recognition agreement on drug facility inspections could already be signed in January 2017. But, according to the Commission, some issues are still not resolved – like, for example, the exchange of confidential information and the inclusion of veterinary products in the scope of the text. The “Report of the 15th Round of Negotations for the Transatlantic Trade and Invesment Partnership” summaries the 15th round of negotiations for the Transatlantic Trade and Investment Partnership (TTIP) from 3rd to 7th October 2016 in New York. Following the issuance of two Non-Compliance Reports for two sites of the US based company, EMA has started a review of medicines manufactured by Pharmaceutics International Inc., USA. This inspection which was a follow-up to an inspection in June 2015 aimed to assess whether corrective measures agreed previously had been appropriately implemented. It found that shortcomings remained, which included insufficient measures to reduce the risk that traces of one medicine could be transferred to another (cross-contamination), as well as problems with the way data were generated and checked and deficiencies in the systems for ensuring medicines’ quality (quality assurance). EMA’s Committee for Medicinal Products for Human Use (CHMP) will now review the impact of the inspection findings on the products’ overall benefits and risks and make a recommendation as to whether any changes are needed to their marketing authorisations. There is no evidence that patients have been put at risk by this issue. However, as a precautionary measure, medicines from this site will no longer be supplied to the EU unless they are considered to be ‘critical’ to public health. Criticality will be assessed by national medicines regulatory agencies for their territories, taking into account alternatives and any impact of shortages on patients. In case where a medicine manufactured at this site is considered not critical in a member state it will no longer be supplied in this member state and any medicine remaining on the market will be recalled.